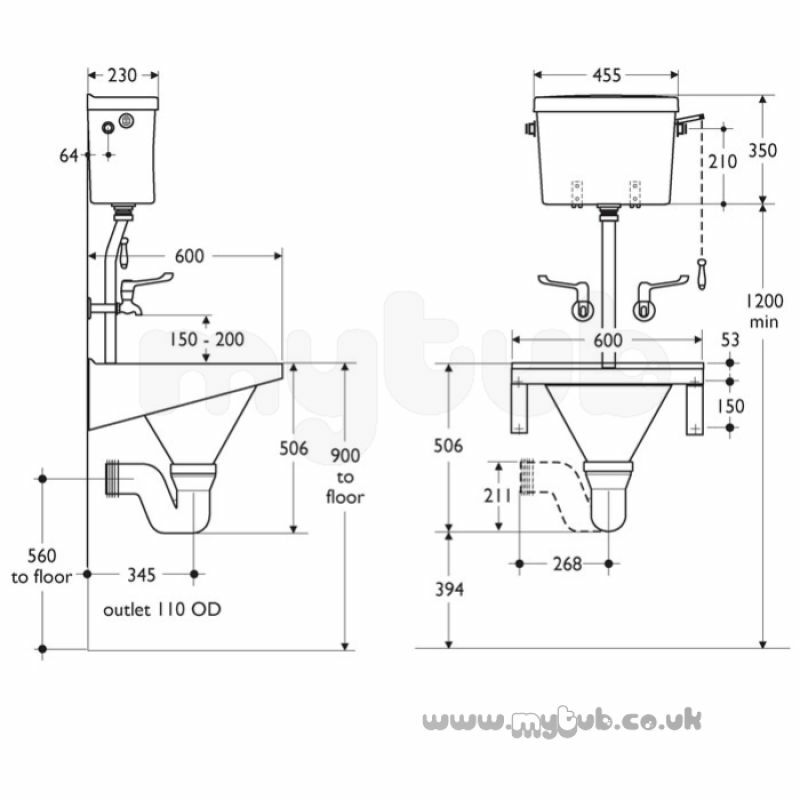 DU stainless steel hopper, with earthing terminal. See special notes and bi version for HTM64 (2006) preference. Notes: For the disposal of liquid and solid waste in connection with clinical procedures. HTM64 does not cover for the provision of leg supports to floor. Note 2.94 states that "Exposed services are visually unattractive, can be unhygienic and are difficult to clean and decorate. Indeed the additional cost of the latter over a number of years may well exceed any savings in intial capital costs"
** Obsolete and no longer available 01/02/2018. I was pleased overall with my purchases. I did have a couple of questions about the products and delivery time which were answered although this took quite a long time. I was beginning to get a bit worried about whether everything would turn up in time. It did but I could have done without the stress! I placed my order, the price quoted could not be beaten by any other supplier,and the part arrived well within the time quoted. Excellent! All stuff ordered arrived as agreed. Successfully fitted. All working. My only constructive comment would be the time that it took to arrive. I am sure that there are good reasons for the elapsed time and I am happy to have waited because he price was good value. However, I did have to flush the toilet with a bucket while waiting. If I had realised what the wait time would be, I might have paid you or someone else more to get the item quicker. I dont remember the delivery time being made clear before paying. Excellent service, arrived as advised. Thank you very much, your order came today, excellent service. I am very impressed with your helpful and prompt service. You have dug me out of a hole of my own making. 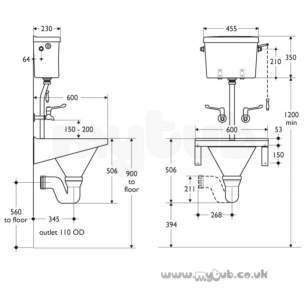 Why choose MyTub Limited for armitage shanks leven s6526 ti slop hopper ss S6526MY?